Share the tastes of the seasons with your loved ones! 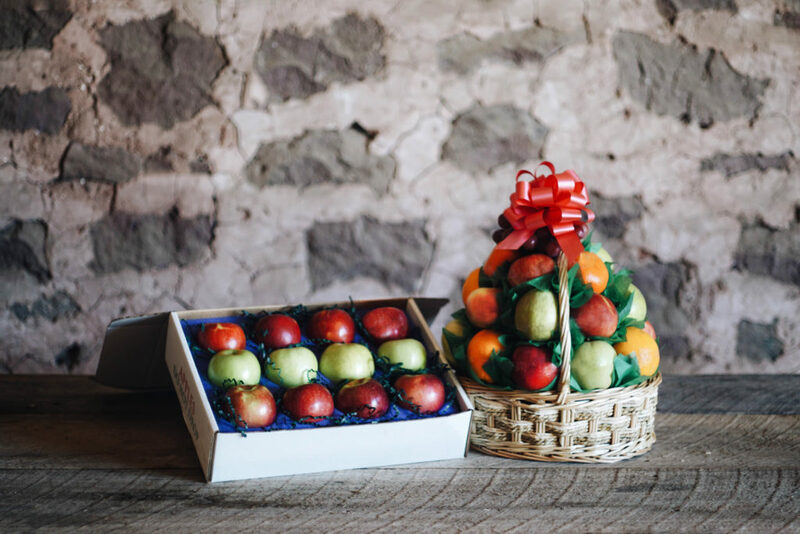 We have apple boxes, fruit baskets and vegetable baskets— all priced based on number of produce items and ready to be customized with your own thoughtful choices. Mix and match types of fruit, and add many of your favorite items from our store! For the veggie-lovers you know, we’ll work with you to design a vegetable basket with 30 or more pieces in it. We can also design baskets with both fruits and vegetables. Buying in bulk? We have discounts for 10 or more baskets when you choose just three styles. Find pricing here and order yours today online or by calling 610-856-7300.